Can our oceans be saved by following the model of national parks? Progress towards setting up ocean parks has been highly variable. Parks on land host some of the world’s most famous conservation successes. Consider Yellowstone National Park, which was the world’s first national park. Yellowstone created a refuge for the American bison. Killed by the millions in the 19th century, bison were on the verge of extinction. The protected bison population inside Yellowstone slowly grew from several dozen to several thousand. Today, herds of bison once again roam the park, alongside grey wolves, elk and grizzly bears, much as they once did during prehistoric times. This success story attracts more than four million visitors - equivalent to the population of Los Angeles - every year, generating close to $500 million for the region’s local economy. The global community recently committed to replicating the success of these parks - underwater. 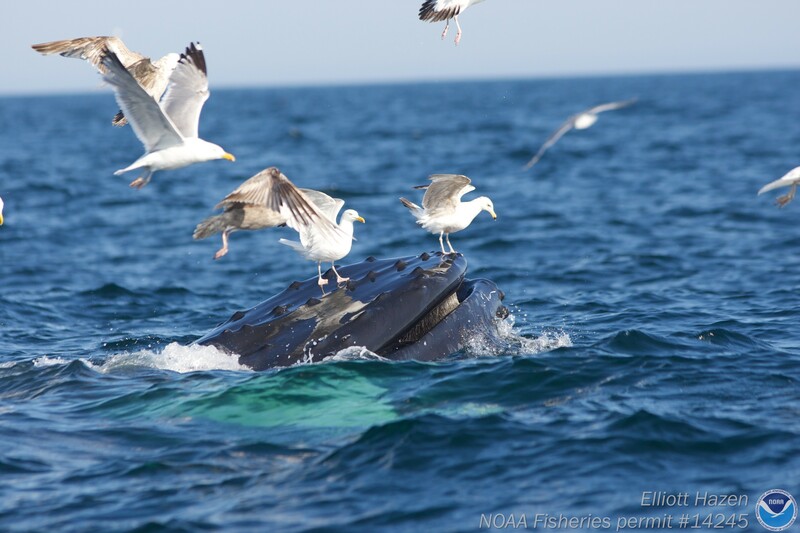 Whales, sharks and manatees the size of cars take the place of bison, wolves and bears in these ocean parks. Just like their cousins on land, these ocean parks attract millions of visitors and generate substantial revenue. The Great Barrier Reef Marine Park, one of the oldest ocean parks, has an estimated asset value of $42 billion, which is approaching the market value of companies such as BMW. In addition to tourists marvelling at marine life, ocean parks provide numerous other benefits. They operate like savings accounts conserving the principal protected inside the parks - in this case big, old, fecund fish instead of dollars. This safeguarded living investment grows, eventually yielding interest to local stakeholders in the form of juvenile fish that spill over beyond the boundaries of these parks into local fisheries. This spillover provides nutritious food and more jobs to local economies. Recognizing the value of ocean parks, the Convention on Biological Diversity and the United Nations both set a global goal of conserving at least 10% of our oceans by 2020. How close are we to achieving this goal? The answer depends slightly on how you do the numbers. The United Nations Environment Programme (the official record-keeper for our progress on this ocean park goal) suggests we might not be far off, with approximately 7.5% of the oceans now protected. Other groups that adopt a strict definition for what constitutes an ocean park, such as the Atlas of Marine Protection, suggest we have a longer journey ahead, with only 2% of the oceans properly protected. Progress towards setting up ocean parks has been highly variable. True champions for ocean park establishment have emerged in both more and less wealthy parts of the world. 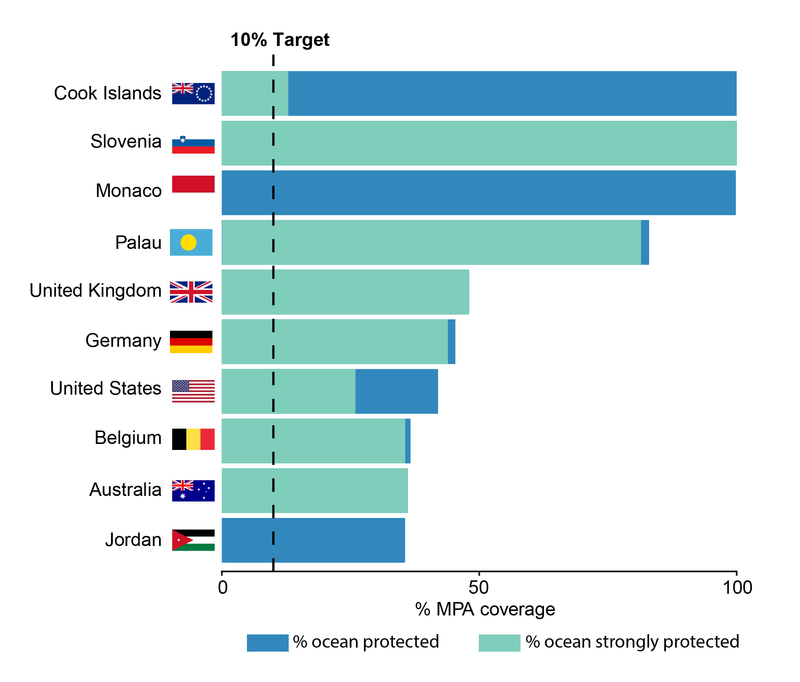 Chile, the US, the UK and Kiribati, for example, have already well exceeded the 10% target, and this progress includes many strongly protected ocean parks. Unfortunately, a number of countries that are well-positioned to take a leadership role in ocean conservation have yet to step forward. 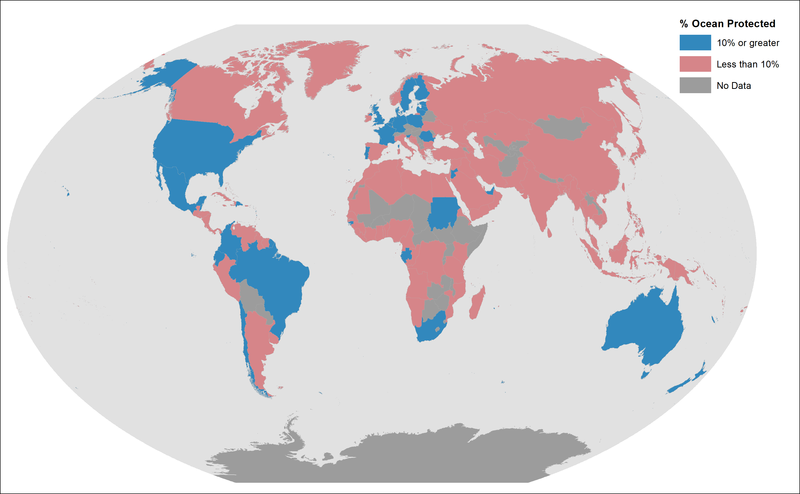 Canada, Norway and Namibia, despite being celebrated by some scientists as being among the top 10 best countries in global conservation leadership, are very far from meeting the 2020 10% target, with only 0.9%, 0.8% and 1.7% of their national ocean waters protected, respectively. We share here a report of progress made to date by all non-landlocked nations in setting up ocean parks. Overall, only about a fifth of countries have officially surpassed the 10% target for ocean parks. The Convention on Biological Diversity meets in Egypt in November. They will reflect on the progress that has yet to be made for marine parks between now and 2020. They will also think about charting a course forward after 2020. Researchers at universities including Harvard have suggested that we will need to protect as much as half the planet if we genuinely hope to sustain healthy ecosystems and societies. Achieving the 10% target for ocean parks by 2020 may be just within reach. There would be much to gain from success - more biodiversity, more food and more wealth. Given these clear benefits, we must redouble our ambitious efforts to create a global network of well-managed undersea Yellowstones.